ULTRAPREMIUM NATURAL GREATNESS Hay 9 productos. RECETA WILD INSTINCT. 600 GR.-ULTRA PREMIUM.NATURAL GREATNESS. TODAS LAS RAZAS Y EDADES. PESO :600 GR. Ultra Premium Quality Cat Food Receta formulada SIN CEREALES, SIN LACTOSA, SIN COLORANTES NI SABORIZANTES ARTIFICIALES Y SIN CONSERVANTES ARTIFICIALES. RECETA FIELD & RIVER.600 GR.-ULTRA PREMIUM.NATURAL GREATNESS. ADULTOS DE TODAS LAS RAZAS. PESO :600 GR. Ultra Premium Quality Cat Food Receta formulada SIN CEREALES, SIN LACTOSA, SIN COLORANTES NI SABORIZANTES ARTIFICIALES Y SIN CONSERVANTES ARTIFICIALES. 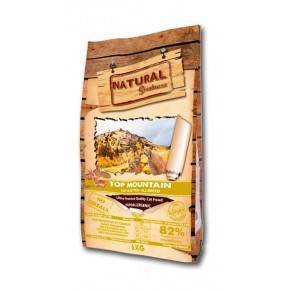 TOP MOUNTAIN - 600 GR. ULTRA PREMIUM.NATURAL GREATNESS. TODAS LAS RAZAS Y EDADES. PESO :600 GR. Ultra Premium Quality Cat Food Receta formulada SIN CEREALES, SIN LACTOSA, SIN COLORANTES NI SABORIZANTES ARTIFICIALES Y SIN CONSERVANTES ARTIFICIALES. RECETA WILD INSTINCT. 2 KG.-ULTRA PREMIUM.NATURAL GREATNESS. TODAS LAS RAZAS Y EDADES. PESO :2 KG. Ultra Premium Quality Cat Food Receta formulada SIN CEREALES, SIN LACTOSA, SIN COLORANTES NI SABORIZANTES ARTIFICIALES Y SIN CONSERVANTES ARTIFICIALES. 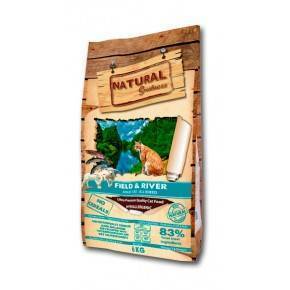 RECETA FIELD & RIVER.2 KG.-ULTRA PREMIUM.NATURAL GREATNESS. ADULTOS DE TODAS LAS RAZAS. PESO :2 KG. Ultra Premium Quality Cat Food Receta formulada SIN CEREALES, SIN LACTOSA, SIN COLORANTES NI SABORIZANTES ARTIFICIALES Y SIN CONSERVANTES ARTIFICIALES. TOP MOUNTAIN - 2 KG. ULTRA PREMIUM.NATURAL GREATNESS. TODAS LAS RAZAS Y EDADES. PESO : 2KG. Ultra Premium Quality Cat Food Receta formulada SIN CEREALES, SIN LACTOSA, SIN COLORANTES NI SABORIZANTES ARTIFICIALES Y SIN CONSERVANTES ARTIFICIALES. RECETA WILD INSTINCT. 6 KG .-ULTRA PREMIUM.NATURAL GREATNESS. TODAS LAS RAZAS Y EDADES. PESO :6 KG. Ultra Premium Quality Cat Food Receta formulada SIN CEREALES, SIN LACTOSA, SIN COLORANTES NI SABORIZANTES ARTIFICIALES Y SIN CONSERVANTES ARTIFICIALES. 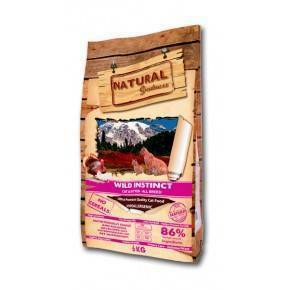 RECETA FIELD & RIVER.6 KG.-ULTRA PREMIUM.NATURAL GREATNESS. ADULTOS DE TODAS LAS RAZAS. PESO :6 KG. Ultra Premium Quality Cat Food Receta formulada SIN CEREALES, SIN LACTOSA, SIN COLORANTES NI SABORIZANTES ARTIFICIALES Y SIN CONSERVANTES ARTIFICIALES. TOP MOUNTAIN - 6 KG. ULTRA PREMIUM.NATURAL GREATNESS. TODAS LAS RAZAS Y EDADES. PESO :6 KG. Ultra Premium Quality Cat Food Receta formulada SIN CEREALES, SIN LACTOSA, SIN COLORANTES NI SABORIZANTES ARTIFICIALES Y SIN CONSERVANTES ARTIFICIALES.